It seems like every day there is a new food trend. Last year everyone was all about kale, and this year cauliflower seems to be getting all of the attention. I have to say, I like this trend better than kale. I say that because to me it is just easier! I have made kale chips (one of the most popular & trendy ways kale was used in 2013) a few times, but I found that they took kind of a long time and it seemed as though all of my hard work vanished in 2 second because I ate the entire batch when they came out of the oven. (Hey, they’re low cal, right? You can eat the whole batch without guilt!) The cauliflower recipes that are all over the internet (again, Pinterest is such a wonderful thing!) seem to be much quicker. Another added plus? The recipes are SO versatile! I know that some of these recipes sound crazy. 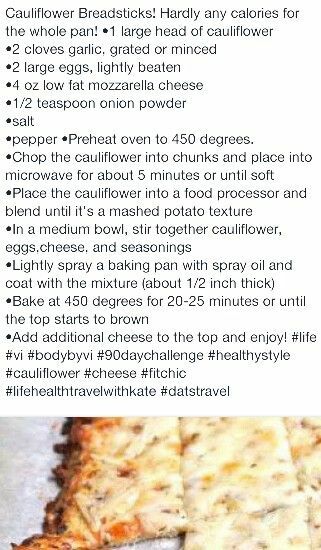 Cauliflower alfredo sauce? I PROMISE you that you won’t even notice that it is veggie based. That is one of the wonderful things about cauliflower; it is oh-so stealth. What is the dish that you have pictures?? It looks amazing. Great post. The pizza bites! Tasty, tasy. The pizza crust is what I am dying to try!